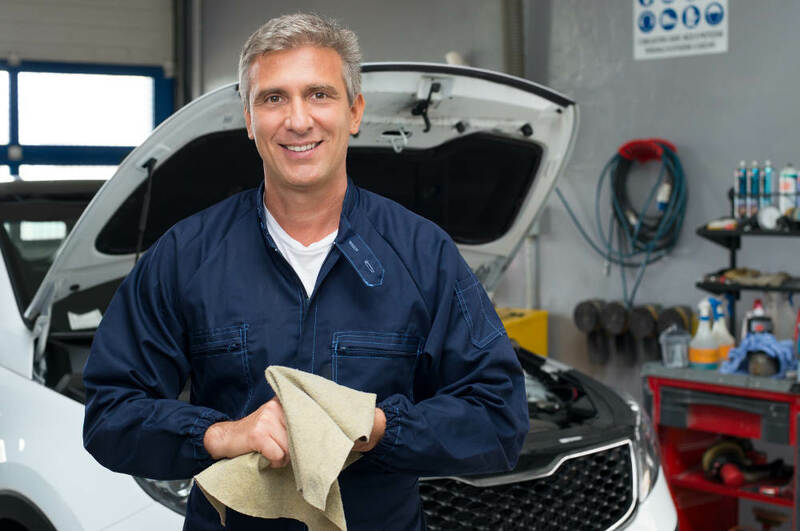 One of the best times to examine your vehicle and make sure that everything is working properly is during the fall season. 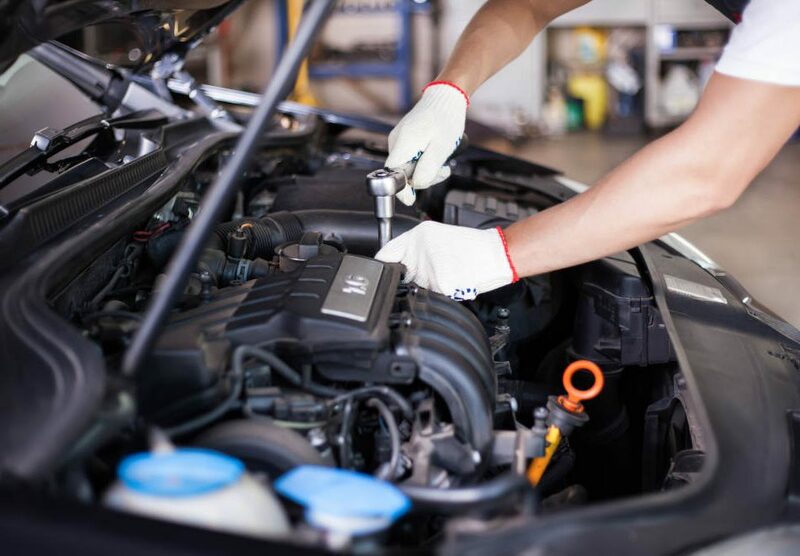 It’s cooler outside, which makes it a bit more comfortable to work outdoors on everything from checking your battery to checking all of the fluids in your vehicle. 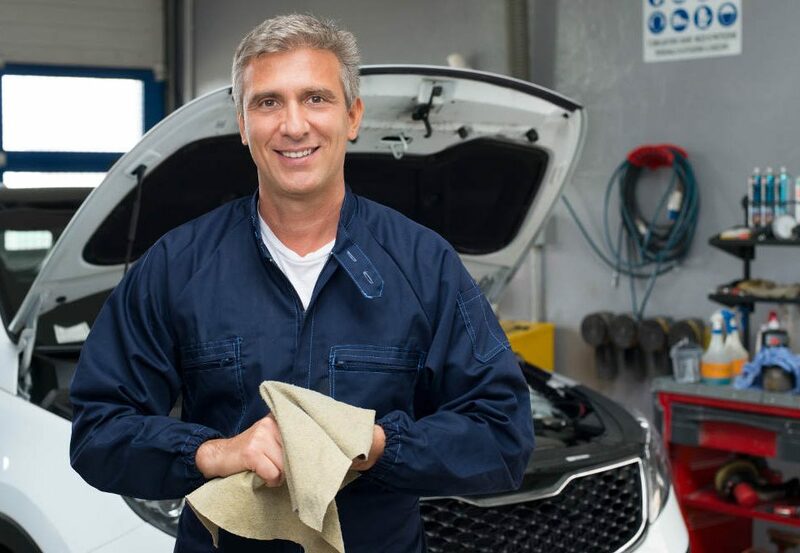 There are a few car care tips that you want to keep in mind that Road Runner Auto Care in Apple Valley can help with if you don’t have the time. Test your battery so that you’re not stranded on the side of the road when it’s cold outside. You also need to make sure that your battery works so that you have headlights while driving at night. 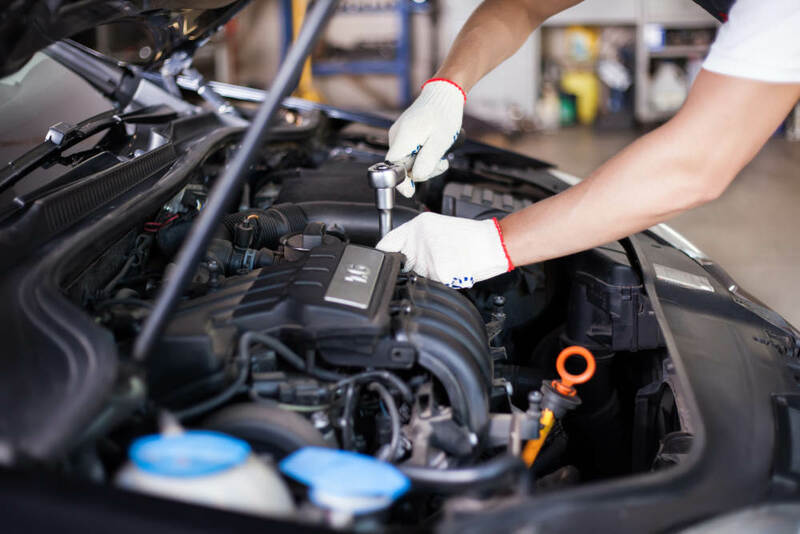 Road Runner Auto Care in Apple Valley can test your battery as well as your alternator and other electrical components. The tires are important to check as well. Make sure there is plenty of tread so that you can stay safe on the road when it rains or even when it snows in the winter. Since there are more leaves on the road during this time of the year, you want to have tires that won’t slide around on the road, especially if there is moisture on top of the leaves. Check your tire pressure as well. 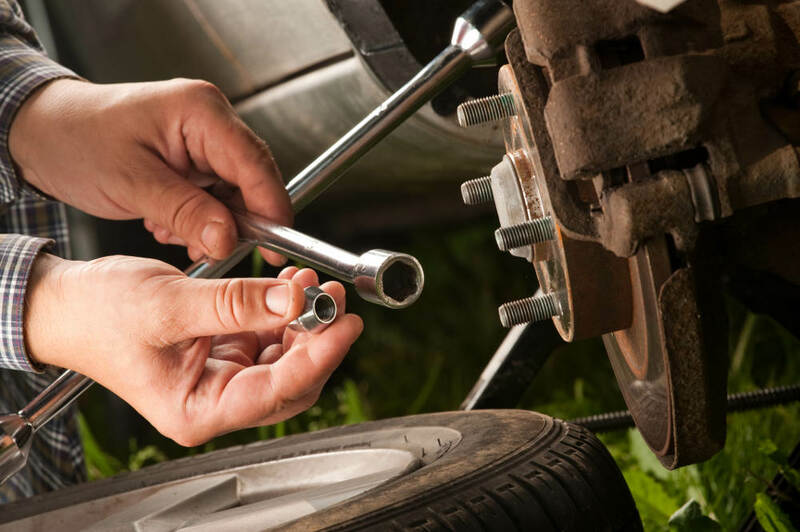 You need a little more pressure during the cooler months because colder temperatures won’t expand the air in your tires as warm air does. 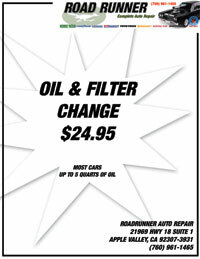 Technicians at Road Runner Auto Care can take an exact measurement of the pressure in your tires and add any air that is needed. If you hear any kind of squealing from your brakes, you need to have someone examine your brake pads. This is important for the fall season because there is often more moisture, the leaves on the ground, and more animals that are migrating, which means that you need to be able to quickly and safely come to a stop on the road.